Justin Gatlin - Batman or Robbing? 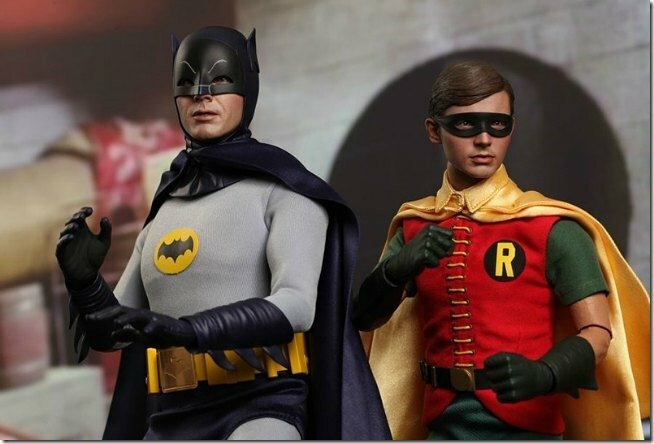 Justin Gatlin – Batman or Robbing? I know, it’s a terrible pun, but I couldn’t help myself. Because, Justin Gatlin claiming to be the Batman of athletics is just as ridiculous as my pun. Let’s start with what Gatlin said, what he thinks it means and what I think it means. I almost don’t know where to start. So let’s start with what Gatlin thinks it means. I’m no mind reader and it’s safe to say he hasn’t told me this, but it is a reasonable conjecture to infer Gatlins meaning to be that the sport needs someone to compete with Bolt. He believes that with Blake injured, someone needs to challenge the king, especially in this lean year of competition. He’s wrong of course. Bolt doesn’t need anyone. Firstly, people aren’t looking for Bolt to get beat. They love him. Everyone loves him. Secondly, people go to see Bolt run to see if he can break his own world record. That’s it. It isn’t the same as Merritt versus James. It’s Bolt versus the clock, that’s what people pay to see. a member of a self-appointed group of citizens who undertake law-enforcements in their community without legal authority, typically because the legal agencies are thought to be inadequate. Hmmmm, if you accept the ‘community’ as athletics (and many of us do), then I think we can all agree that Justin Gatlin is a self-appointed something. But law enforcement? I think even the most deranged individuals in athletics would struggle to describe a two-time unapologetic drug cheat as law-enforcement. “The Batman of track and field.” Bob Kane of DC comics must be spinning in his grave. However, is this a Freudian slip on Gatlin’s part? Batman is famous for sometimes breaking the law in order to achieve his vigilante role. Is Gatlin excusing himself because he believes being caught for drugs is worth it to break Bolt’s grip on sprinting? One thing he is definitely correct on though is that we do need him. Gatlin was the pantomime villain. Spitting in Bolts lane in their early encounters, a drugs cheat in a world of drugs cheats, he was just another unsavoury character, a side show, a bit of colour for us to turn our noses up at. I have mixed feelings on this. On the one hand, I want Bolt to do yet another treble, to silence, once and for all, that other unrepentant drugs cheat, Carl Lewis. However, for the long term benefit for the sport, I hope Gatlin does win. We need him to win. Because, when he does, it will shine a dazzling spotlight on the inadequacy of the punishment he was given and the pathetic leniency of the world governing bodies. READ What exactly is Active Recovery? People can tell the difference between someone who is genuinely repentant and a fraud who delights in his deception. Take the example of Dwain Chambers, constantly apologising, spending time lecturing on the dangers and the consequences of the decision he takes sole responsibility for. Maybe Gatlin believes that because he feels he has a close connection with his god that he has been forgiven. A few Hail Mary’s and his sins are absolved. He’s wrong. Absolution can only be achieved from the athletics community and he will never receive that. If he wins the Olympic 100m title it will change athletics for good, for the better. It can never be allowed to happen again, and that’s why we need him. It will prevent anyone else from robbing (back to the pun) genuine athletes of medals and achievements. Footnote – does anyone think the 100/200 double is possible at that record breaking level, within an hour of each other without ‘help’? My name is Lee Ness. I am a UKA qualified Event Group Coach for Sprints and Hurdles, the Head Coach/Sprint Coach at City of Salisbury Athletics and Running Club and Track and Field Team Manager for Wiltshire Athletics Association. I’ve been coaching track and filed for around 7 years. I coach all the sprints, from 60m to 400m plus the long and sprint hurdles. In my sprint group I have 36 sprinters and 10 hurdlers of various ages, starting from 13. In my group I have three athletes in the UK top 10 rankings for their event. 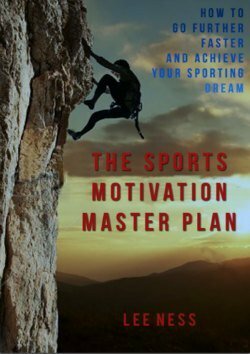 I write about sports performance in general and have written a book called The Sports Motivation Masterplan which will be released on September 1, 2014 by December House. The book is a support guide for athletes and parents, helping them with the role of mentor through their journey from young aspiring athlete, to elite performer.